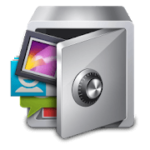 AppLock is a free version app which offers a premium adds free version and additional files backup by in app purchasing. The app allows the generic feature of PIN lock, Pattern Lock along with Fingerprint to block unauthorized access. It also has an incognito feature for its users, by this features users can browse the web without having to clear history. It also has different Themes for its users. Users can use a personalized theme for their AppLock screen. How to Download AppLock v3.1.3? Premium version, users have to purchase it through the app as an in-app purchase. The all-around security for user’s privacy makes AppLock the go to app for any android users out there.